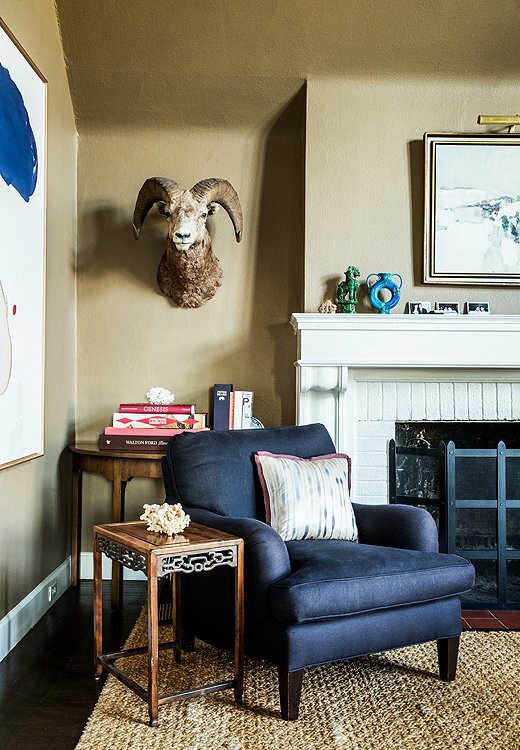 Mix and Chic: Home tour- A designer's chic and child-friendly home in Oakland, California! 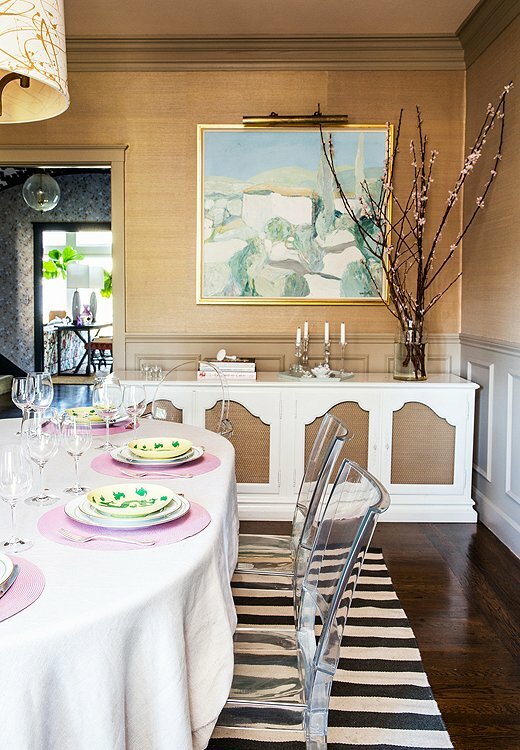 Home tour- A designer's chic and child-friendly home in Oakland, California! 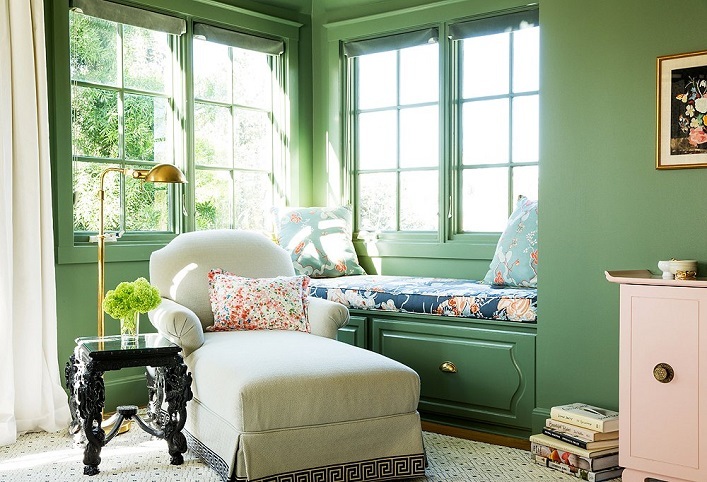 This beautiful 1920s French cottage style home in Oakland, California home belongs to interior designer, Chloe Warner that she shares with her husband Andrew, her 5-year-old son and 3-year old daughter. 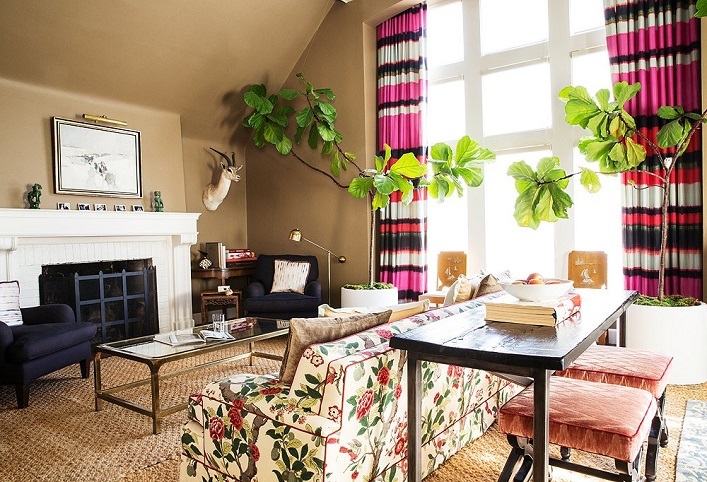 With her keen designer eye, her home was transformed into a chic, child-friendly and gorgeous abode! 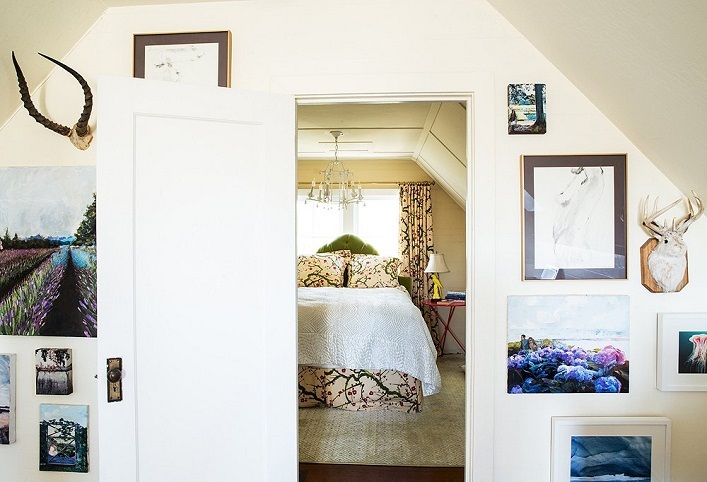 Let's take a tour of her fabulous residence, shall we? Such an inspirational tour! 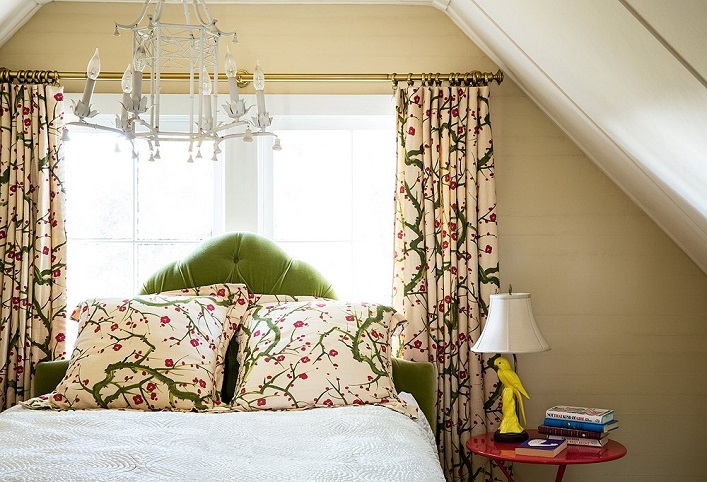 I really love how she blends eclectic pieces with floral patterns and vibrant colors together, resulting in a fresh, layered and collected vibe. 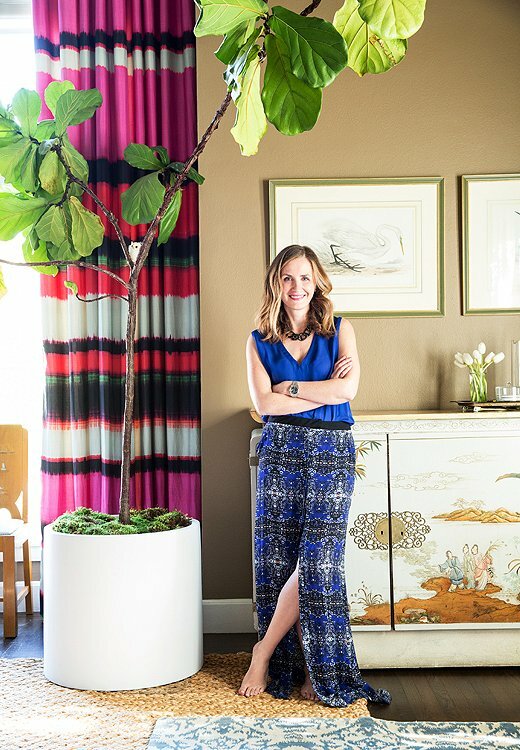 There's so much visual interest and delightful pieces in her home no matter where you look! I truly enjoyed this tour, what about you? Thoughts? Lovely! Makes me want to have a home with pink walls! Beautiful spaces, Jessie. 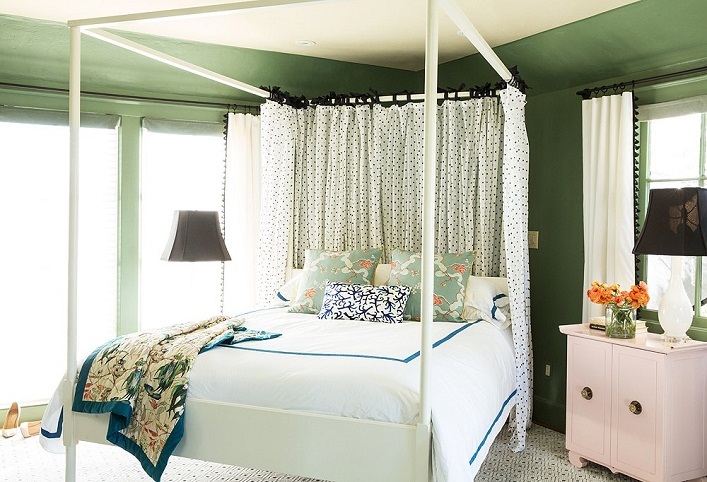 The horizontal striped curtains in Chloe's den? Wow...just wow.